Once scanned, the app gives a ‘thumbs up’, ‘thumbs down’, or ‘thumbs sideways’ message, according to how healthy the product is. 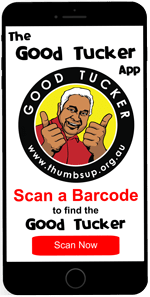 The GOOD TUCKER app has been launched with the intention to assist people living in remote Aboriginal and Torres Strait Islander communities to make healthier food and beverage choices at the local store. Federal Minister for Indigenous Health, the Hon Ken Wyatt AM gave the official thumbs up to the free app today. The app allows shoppers to scan a food or beverage product’s barcode and instantly reveal if it is a healthy option, should be consumed in moderation or avoided altogether. The app has been championed by the Menzies School of Health Research (Menzies), the University of South Australia (UnisSA) and Uncle Jimmy Thumbs Up! , which has been promoting awareness and the benefits of a healthy diet to Indigenous children for more than 10 years. Graham “Buzz” Bidstrup, CEO of Uncle Jimmy Thumbs Up!, said there was an overwhelming need for the app. “We know that there is over consumption of ultra-processed foods particularly in remote Indigenous Australian communities. These foods are typically energy dense and high in added sugar and salt which fuels the obesity epidemic and a raft of early onset chronic diseases. 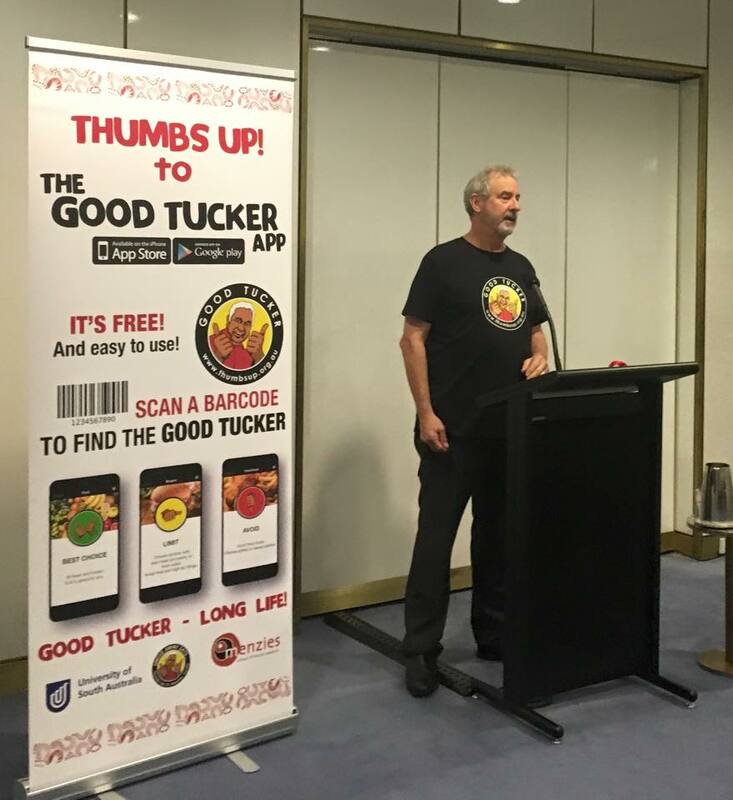 “The GOOD TUCKER app shows at a glance how healthy or unhealthy a product is with a simple thumbs up, sideways or down message. The Thumbs rating is derived from a combination of the products’ Health Star Rating and Australian Bureau of Statistics’ discretionary food classification,” Mr Bidstrup said. The app has been more than two years in the making with joint input from Menzies, UniSA and Uncle Jimmy Thumbs Up!. 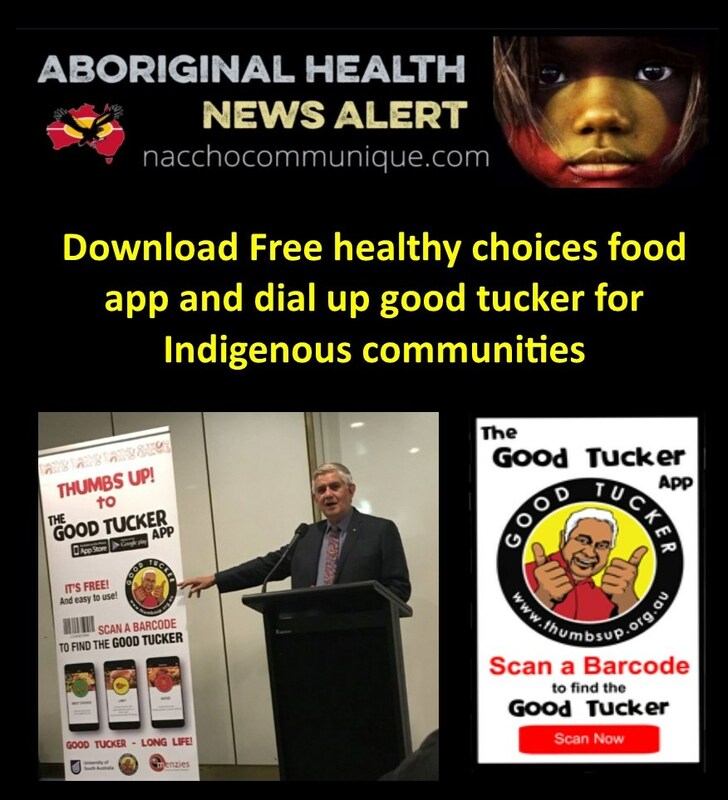 Associate Professor Julie Brimblecombe, head of the nutrition program at Menzies, said she hoped the GOOD TUCKER app would help to tackle the significant health gap facing many people living in remote communities. “We know that nutrition plays a huge role in contributing to poor health. Making even small changes to our diets, such as consuming a little less salt and added sugar, and eating less fat (particularly saturated fat) and energy (kilojoules) could help prevent diseases including high blood pressure, high cholesterol, obesity and type 2 diabetes. This app will help people to change their shopping habits as well as generate new learning about healthy food choices for community residents and store managers,” Assoc Prof Brimblecombe said. 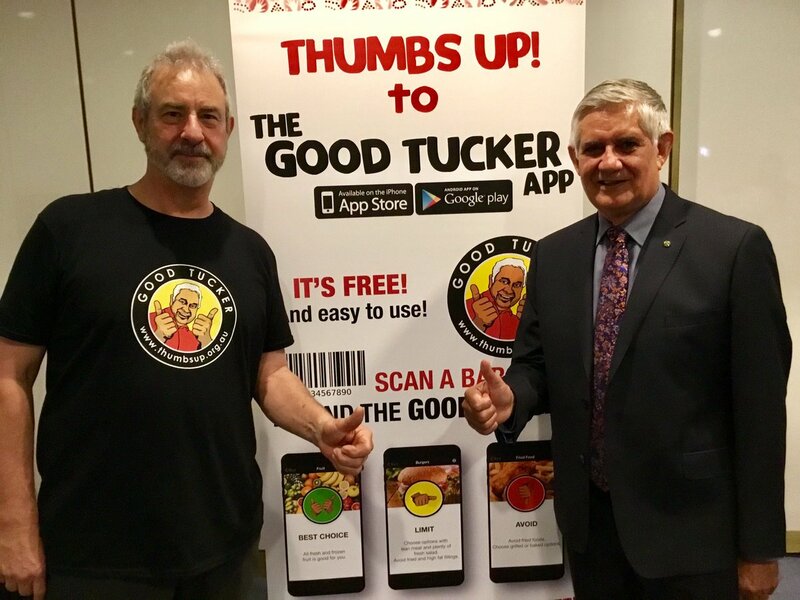 The GOOD TUCKER app, which is powered by the highly successful FoodSwitch app, provides Thumbs ratings for tens of thousands of products on sale in food stores all across Australia. It also provides guidance about take-away foods, such as pizzas and burgers and other non-packaged, non-barcoded items like fresh fruit and vegetables. Prior to the launch the app was trialled by Indigenous musicians and performers at the Bush Band Bash concert in Central Australia , Wiraduri woman, Johanna Campbell said she found it educational and easy to use and is looking forward to it being introduced into rural and remote communities across Australia. “The GOOD TUCKER app is great. To be able to scan the barcode on a food packet to find out if it is healthy or not will be really useful. Some foods are not so obviously unhealthy, so to be able to receive a thumbs up, sideways or down will help buy healthier options at the store,” Ms Campbell said. Dr Tom Wycherley from UniSA’s Alliance for Research in Exercise, Nutrition and Activity (ARENA), said the app uses imagery and branding that is easily interpretable and familiar to communities. A full evaluation of the app is planned to take place after the release. 1. Apple mobile devices that have a camera with auto-focus. Requires iOS 7.0 or later. 2.Android devices running versions 4.0.x and above that have a camera with autofocus. Uncle Jimmy Thumbs Up! was established in 2007 by legendary Australian entertainer Dr. Jimmy Little AO with veteran musician and founding CEO Graham “Buzz” Bidstrup. The Thumbs Up! program uses music and new media to bring awareness of good nutrition and healthy lifestyle to Indigenous children living in regional and remote communities across Australia. Thumbs Up! engages with the whole of community, including traditional owner groups, schools, local food stores, health services and community groups. How do I get the Good Tucker app? iPhone1 users: Download Good Tucker from the App Store1, either online or on your device. Android2 smartphone users: Download Good Tucker from Google Play2, either online or on your Android smartphone. The app is free of charge. An internet connection (mobile/cellular data or Wi-Fi) is required to download it and to share information by social media and email. Standard usage charges may apply – check with your internet and mobile service providers for more information. Once the Good Tucker app has been downloaded onto your phone you do NOT need to have phone or internet connection for it to operate. All information on products will be stored on the phone. Welcome to the Good Tucker APP! A simple and easy way of checking out how healthy a food product is.